The technology we use here at Silclear sits at the heart of our business. We are continually investing in and developing our equipment to make sure we are producing the highest quality end products. 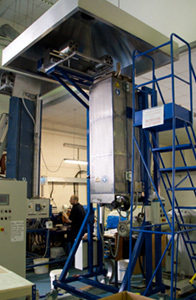 Our sustained investment in technology has recently included a new infrared oven used to control temperature during the curing phase of the extrusion process, as well as plans to develop our in-house material test lab, state-of-the-art mixing equipment and new injection moulding equipment. At Silclear we place great emphasis on our product knowledge, product testing and in ensuring the highest standard of silicone mix.